WASHINGTON, DC, September 7, 2012 (ENS) – Provisions to deal with aquatic invasive species, habitat degradation and the effects of climate change are featured in the newly amended Great Lakes Water Quality Agreement signed by U.S. and Canadian officials today in Washington. The amended agreement supports continued work on existing threats to people’s health and the environment in the Great Lakes Basin such as harmful algae, toxic chemicals, and discharges from vessels. First signed in 1972 when the lakes were dying and rivers were catching on fire and last amended in 1987, the Great Lakes Water Quality Agreement has set the terms of binational cooperation to protect the world’s largest surface freshwater system and the health of the surrounding communities for the past 40 years. Concluding a three-year negotiating process, U.S. Environmental Protection Agency Administrator Lisa Jackson and Canada’s Environment Minister Peter Kent today signed the updated agreement at the Canadian Embassy in Washington, pledging to create a more healthy and prosperous Great Lakes region. “Protecting cherished water bodies like the Great Lakes is not only about environmental conservation. It’s also about protecting the health of the families—and the economies—of the local communities that depend on those water bodies for so much, every day,” said Jackson. 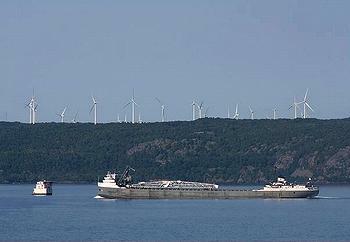 “Joint stewardship of the Great Lakes – a treasured natural resource, a critical source of drinking water, essential to transportation, and the foundation for billions of dollars in trade, agriculture, recreation and other sectors – is a cornerstone of the Canada-United States relationship,” said Kent. “The Great Lakes Water Quality Agreement supports our shared responsibility to restore and protect this critical resource, and builds on 40 years of binational success,” said the minister. “We mayors representing cities and communities across the Great Lakes and the St. Lawrence favor an integrated management of the basin,” said Mayor Labeaume. 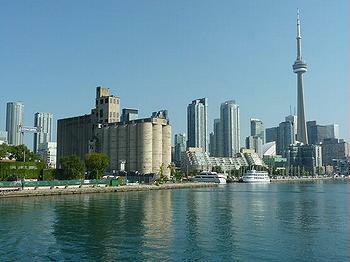 The hot, dry summer has affected the Great Lakes. The water level on Lake Ontario on August 24 was 244.78 feet, 12 inches lower than it was last year on that date, according to a Great Lakes water report by the U.S. Army Corps of Engineers. All other Great Lakes are more than 10 inches lower than last year in August, except for Lake Superior, which is only one inch lower. This year’s dry summer means no huge trash wash-ups from sewage overflows and flooding. Yet volunteers turning out this September 15 for the Alliance for the Great Lakes’ annual September Adopt-a-Beach event in Illinois, Indiana, Michigan and Wisconsin will have no shortage of work cleaning up Great Lakes beaches. They are littered with trash, food waste and other items carried through storm sewers and left behind by beachgoers. This September, volunteers will hand out petitions asking Congress to maintain funding for the Clean Water State Revolving Fund, a key federal loan program that helps communities finance sewer system improvements. 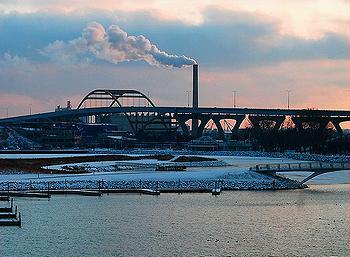 An Alliance study published in June reported that in 2011 alone, 18.7 billion gallons of combined sewage and stormwater was released into the lakes by the basin’s seven largest dischargers. The bacteria, viruses and other pathogens in untreated sewage pose a health risk and contribute to Great Lakes beach closings that hurt the economy. Preventing environmental threats before they turn into actual problems. Updating phosphorus targets for open waters and nearshore areas of each lake and taking actions to reduce phosphorus levels that contribute to harmful algae. Preventing the introduction and spread of invasive species. 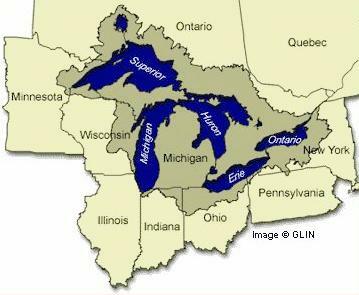 Developing plans to protect and restore nearshore areas, the primary source of drinking water for Great Lakes communities and where most commerce and recreation occurs. Reaffirming actions necessary to restore and delist Areas of Concern. Identifying new toxic substances, and implementing pollution prevention and control strategies. Preventing and controlling harmful discharges from ships and other vessels. Developing conservation strategies to protect native species and restore habitat. Identifying and helping coastal communities understand the impacts of climate change on water quality. Developing water quality and ecosystem health objectives. Reviewing Great Lakes science and establishing binational priorities for future work. Providing notification of activities that could impact the Great Lakes. Reporting progress to the public regularly.